I’ve been enjoying the trend of illustrated book covers that contain little hints about what I’ll find inside. It’s only after I finish the book that I realize the significance of what’s on the cover. When I twig to the meaning of those hints, I feel like I’m sharing an inside joke with the author and the cover designer. Why do the UK versions of books get better covers than the American version? 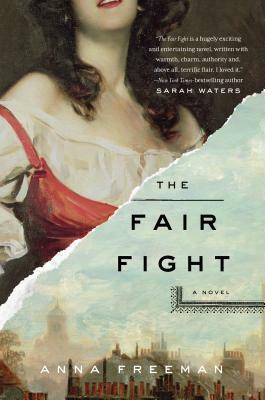 My latest evidence are the two covers of Anna Freeman’s The Fair Fight. On the left is the American version, by Riverhead Books. On the right, you’ll see the UK version by Orion. The American version, I thought, was too pretty for the character and story between the book’s covers. When I first read the description of Ruth Webber, I flipped back to the cover and felt some annoyance on Ruth’s behalf. The woman on the cover, with the part of her smile visible near the top, is not who Ruth is. The woman on the cover is flirty. Ruth is decidedly not flirty. The city depicted, too, is too remote for the Bristol in the novel. Our views of Bristol are always down in the streets, in the bad parts of town. It’s a nice enough cover, but it’s not accurate. The UK edition, however, has a feistiness to it, a scrappiness that most of its characters share. 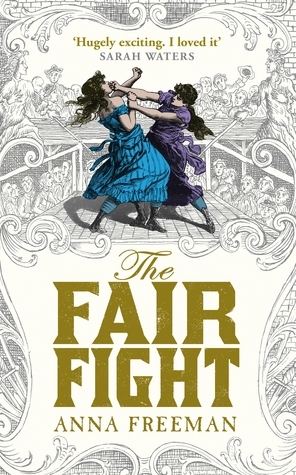 It’s rough and violent, just like The Fair Fight‘s characters. Plus, it’s oodles more interesting than the American cover. The American edition also has another problem that I’ve gotten more and more annoyed about in recent years. I am tired of seeing woman on book covers with their heads chopped off. I know they don’t show faces on covers much because the designers and publishers don’t want to interfere with a reader’s imagination. Still, it bothers me. This truncation makes visiting through bookstores feel like walking through the Reign of Terror. When I review public domain titles, I link to the generic entry on GoodReads and pick my favorite cover to put in my post. This hasn’t been an issue until I read Red Cavalry, by Isaac Babel. Red Cavalry was published in 1926, so it’s public domain in the United States. But I got an advanced reader copy of a reissue from Pushkin Press. I suppose I ought to have used the Pushkin Press cover, to give them a bit of cover advertising. I chose not to because the cover Pushkin Press is using didn’t fit what I read. 2003 edition by W.W. Norton & Co. I used this cover (at right) instead. The cover from the W.W. Norton edition uses Soviet propaganda, with blocky text for the title, author, etc. The red (and Red) cavalryman on the cover is crushing his opponents—and Ukraine—beneath his boots. The cavalryman is meant to be idealized, but he strikes me as incredibly sinister. This representation of a Red soldier captures the soldiers depicted in Babel’s stories and vignettes. I wrote about the unreconcilable divide in the men’s characters that I saw. These were men who did unspeakable things to their fellow human beings, but who would become nearly suicidal with grief if their horses were killed. The cavalryman on the cover looks savage, like the kind of person who could execute another person out of hand or violate a woman without a second thought. To me, Red Cavalry was a welter of these kinds of acts and brutality. 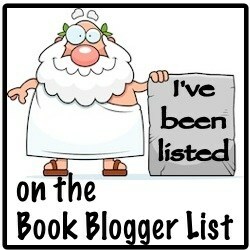 I had a quick look at the other editions listed on GoodReads and many of them are curiously bland. A few of them have soldiers on the cover. One had a picture of the author, which might be the worst choice. Isaac Babel, in most of his pictures, looks like a professor—the last man one would picture as a soldier. (See?) To my way of thinking, covers are not just advertisement; they prepare a reader for the experience they will have with the book. 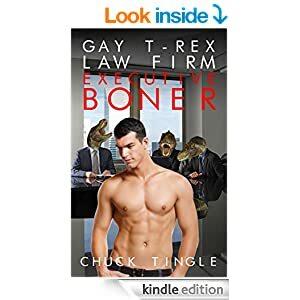 A good cover will put a reader in the right frame of mind. The cover that Pushkin Press had designed for Red Cavalry tells a different story than Norton’s propaganda cover. Red hoof prints form a border around a pair of broken glasses. The metaphor I pick up on hints at Babel’s biography. Babel was a writer, one of the intelligentsia, before he was assigned to Semyon Budyonny‘s First Cavalry Army. The broken glasses signal, to me, that the experiences of the Polish-Soviet War broke him. The problem with this interpretation, however, is that there is no single first person narrator in Red Cavalry. The ‘I’ changes from story to story as Babel slips into different personae to tell the stories of his fellow soldiers. There is also no reflection on the time before the war. That kind of reflection doesn’t fit the collection. Everything in Red Cavalry is war or a direct result of the war. One gets the impression that there has always and will always be war. I’m glad (sometimes) that the advanced reader copies I get arrive on my kindle looking like raw manuscripts. I won’t form hard notions of what I’m about to read. When I’m recommending books, though, I want the cover in my reviews to send signals to potential readers. Covers are meant to be judged, contrary to popular belief. This analysis of the cover of When the Doves Disappeared contains spoilers. Caveat lector. Every now and then, a brilliantly designed cover will capture my attention just as much as the book’s contents. I’m not talking about merely beautiful covers. A brilliant cover will make a browser take a second look, hint at the book’s contents but give nothing away, and show originality in a market of covers that tend to blur into one another after a while. 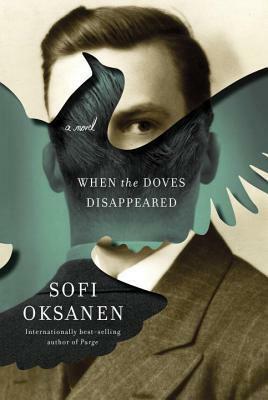 The cover for When the Doves Disappeared, by Sofi Oksanen, designed by Kelly Blair, is brilliant. The colors are somber, as befits a book about Estonia in World War II. The cut out of a dove recalls the German soldiers’ habit of capturing and eating pigeons in Tallinn. What makes this cover brilliant, however, is the man facing away from the cover and facing us at the same time. When the Doves Disappeared is really the story of Edgar Parts. Though the first part of the book tells the story of his wife and cousin, their stories circle Edgar’s. The last part of the book lets us into Edgar’s world. We see what motivates him (fear of discovery, for the most part) and what he likes and dislikes, but you can’t say that you really know him. Over the course of the book, Edgar changes sides twice. The cutout on the cover splits the faceless man into three segments, echoing Edgar’s transformations from NKVD officer, to German catspaw, and back to a loyal Soviet Estonian citizen. 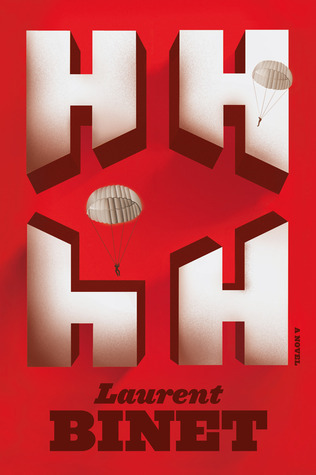 After the War, Edgar will go to desperate lengths to hide his past working for the Germans—symbolized by the segment of the cover where the man is facing away. The eye that peers so seriously out from the cover is Edgar watching for any hint of suspicious and covering his tracks. The story of When the Doves Disappeared is there for everyone to see on the book’s cover, but it will only make sense after you finish reading it. Then the meaning becomes so apparent it’s a wonder you didn’t spot it sooner. This cover takes a portrait of Reinhard Heydrich, the subject of the book and the target of Operation Anthropoid, and blurs his face. The cover says to me how impossible it is to clearly see the past. Binet agonizes about getting the story right. We can fill in a lot of details with the historic record, but we can’t really know the people behind the history. The blurring also makes Heydrich just that much more sinister—to me at least. This cover fits the story much better than the American one. This cover removes Heydrich as the focus. The parachutists—no doubt representing the assassins, Gabčik and Kubiš—are tiny figures. The letters of the title are written in what makes me think of Soviet futurism. You have to know what the letters mean in order to catch the meaning. 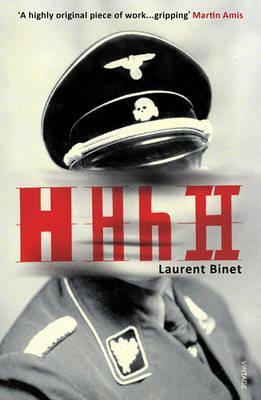 (HHhH stands for “Himmlers Hirn heißt Heydrich”: Himmler’s brain is called Heydrich.) The letters made me think of buildings—but not the medieval buildings of Prague, where the novel/not-novel takes place. I’m probably over thinking this, but I tend to do that about artwork. I blame the fact that I was raised by an art history major. After I finish writing a book review, I always post an excerpt and a link on the book’s page over at GoodReads. Because GoodReads is home to readers from around the world, finding the right edition can be tricky. The upside of this complication is that I get to see the UK and the US covers for the book. I’ve written before about how a cover can change your expectations of a book’s tone, and I have another example to share. I think if I had only the UK cover to go on, I would have been more frustrated with Manticory as a character. She is dominated by her oldest sister throughout the novel. She often gets lost in the crowd with her six siblings. 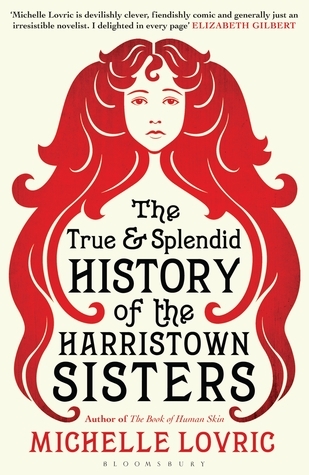 Because she is the narrator, The True and Splendid History of the Harristown Sisters may seem like Manticory’s story. But the US edition cover reminds us that the book is really about all seven Swiney sisters.